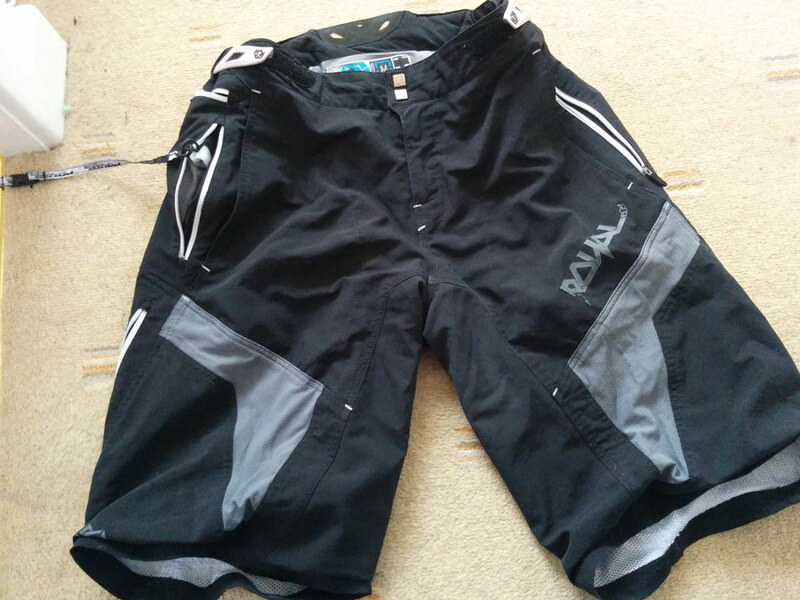 I took a chance on these shorts after spotting them reduced to £28 in one of those baffling CRC sales, and I’m pleased to say that they’ve turned out to my all-time favourite MTB shorts – although the things that I love about them might drive others mad. First they have a nice secure waist fitting with easily tightened velcro adjusters each side, and then go way down over my knees (5ft 8in wearing medium). Even really bulky kneepads fit under them comfortably but they don’t feel heavy despite being almost into ¾ shorts territory. Not looking too bad after a few years of use on my biggest rides. There are a good selection of pockets, big enough to take a selection of energy gels and bars, a phone, keys and even one of those Vertebrae guidebooks if need be – and the contents don’t seem to swing about annoyingly while riding. 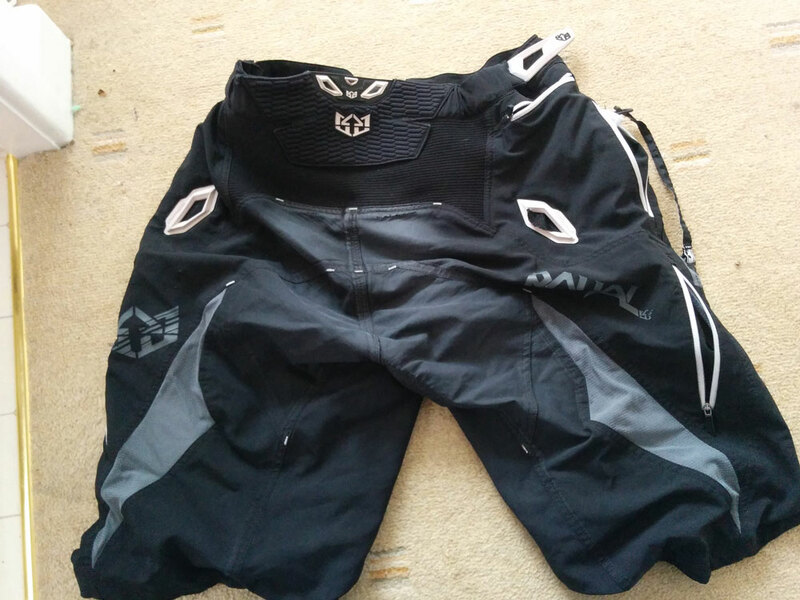 Possibly the best bit about them though is the waterproof bum panel, which works really well to keep your posterior dry and cosy when riding in light rain or when there’s standing water on the trail. The shorts won’t keep you dry in proper rain – but I’ve got waterproof shorts for that. They’ve also been crash tested better than any shorts I’ve ever owned – taking a high-speed tumble that snapped my arm in the Mega along with several other offs before and since – and still looking pretty good. One minor minor issue I’ve had is that one of the zip tabs has snapped off, but it’s easy to open and close that pocket using my fingernail. And there are holes appearing at the top of the waterproof layer now, but I think I can live with that after three years of hard use. I’m just waiting for CRC to drop them to the same price again so I can grab a replacement pair. Hint hint.